Time of Awakening... Access to the Spirit World: The Circle - it's been busy! The Circle - it's been busy! Wow getting back online and having a telephone has been great as not only can I post but I am also back at work at The Circle and wow did I miss you all! It has been great to catch up with some of my loyal clients as well as connect with some new ones. Have you popped on over to The Circle? 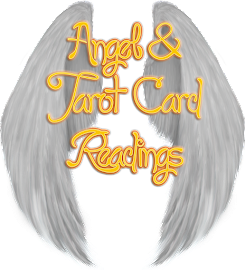 Or of course you can visit and not only check out my profile but also all of the other amazing psychics, mediums and readers, there are a plethora all specialising in different methods, techniques and abilities. So you may also be wondering how my spiritual progression is also going and well if you read my We've moved! post you will clearly see that my relationship with the universe is obviously well connected, as everything just fell into place and practically before we even knew it needed too! It's been awhile since I have been to the Spiritualist church what with children, pregnancy, moving and working it has left little time. Although I did have another experience while happily sat having a celebratory meal at Lupton House. We were celebrating the success of the 1940's show that Mark is part of the committee for and also helps to organise and run. Whilst there I have to say I was aware of the presence of a number of spirits. Varying in ages, ethnicity and also circumstances. I always find it strange seeing with my eyes the bright colours, decor etc... of today's era and hearing all the sounds and then "almost" seeing clips of other eras, I say "almost" as I do find when there is a lot of activity it is more feelings and impressions rather than clear clairvoyant sight. It was interesting and something although quite eerie I would still like to go back and explore!